#TommyRobinson supporters broke into a round of applause as the decision was announced. 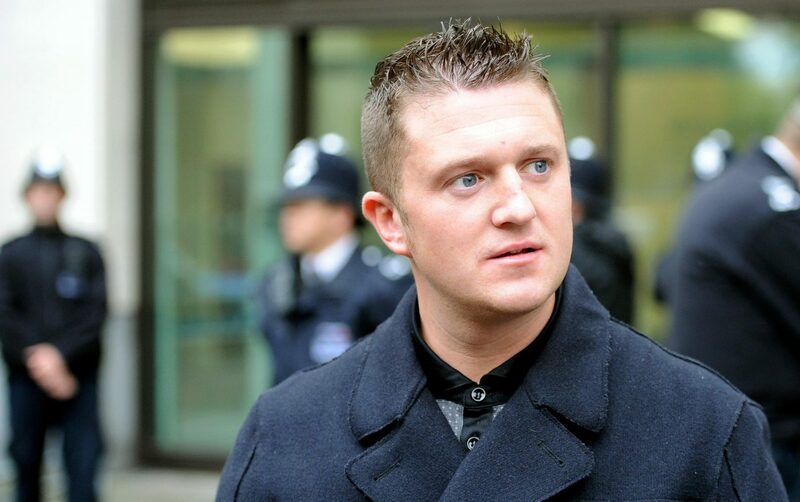 Former EDL leader Tommy Robinson has been released on bail by Court of Appeal. Tommy Robinson, the violent hate preacher and far-right activist has been bailed after winning an appeal against a court ruling which convicted him in contempt of court. The Court of Appeal freed #TommyRobinson after he won a challenge against a contempt of court conviction. This allows him to appeal in respect of the committal for contempt at Leeds. The 35 year old, also known as Stephen Yaxley Lennon, admitted the charge and received a 13-month jail term in May after he filmed outside Leeds Crown Court during a trial. The trial was almost disrupted and the Crown Prosecution Service suggested that as a result of the actions of Tommy Robinsion, the criminals were close to being set free. The trial that was subject to blanket reporting restrictions and Mr Robinson, used social media to broadcast from outside the court. At the Court of Appeal, Lord Chief Justice Lord Burnett ruled there had been technical flaws by the judge who jailed him and quashed the finding. He will attend the Old Bailey for the Leeds allegation where he will face a re-hearing into the allegation at a later date. Immediately, following the appeal Geert Wilders, the Dutch Far-Right activist, tweeted celebrating his release. Others, however, have used this as an opportunity to remind the public of what Tommy Stands for. TOMMY WON AND WILL BE RELEASED TODAY! Earlier this year, when Tommy Robinson was convicted, violent disorder broke out at a protest against the imprisonment. Hundreds of demonstrators descended on the capital and blocked off the road around Trafalgar Square after Robinson was jailed for contempt of court. Scotland Yard stated scaffolding and glass bottles were among the items thrown at police at the June 9 protest in Whitehall and 21 police officers were injured.